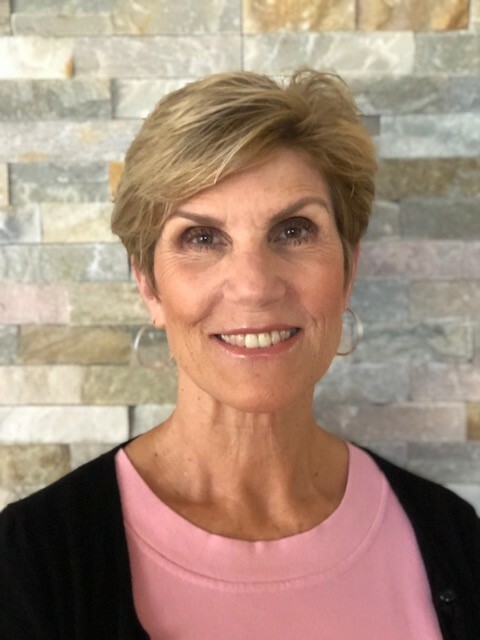 Editor’s Note: The following article is a companion piece to “Unpacking the Opioid Crisis: A GuideWell Insights Interview.” Our podcast guest, Dr. Candace Hodgkins, CEO of Gateway Community Services, shares evidence for the efficacy of 12-Step programs used in concert with medication assisted treatment (MAT) for long-term recovery of people living with substance use disorder. I hope you will listen to the conversation I had with colleague and friend, Dr. Huson Gilberstadt, the president of St. Vincent’s Medical Center – Riverside, and GuideWell’s social media manager, Kate Warnock, as we teased-apart the issues that have escalated today’s opioid epidemic into a deadly public health crisis. Here, I’ll clarify exactly how and why medication assisted treatment is an essential addition to the 12-Step recovery programs we deploy at Gateway Community Services. An abstinence-based 12-Step program brings together groups of people who, no matter what their status or circumstance, have one thing in common – addiction. Addiction treatment modalities partnered with the power of hearing stories of others who have walked similar paths and how they achieved an alcohol or drug-free lifestyle through the fellowship of a 12-Step mutual support program has proven to contribute to better recovery outcomes. This growing body of research suggests both professional treatment and AA/NA participation were each alone associated with an improved clinical outcome, but a better outcome was occurred when patients experienced both treatment and Alcoholics Anonymous / Narcotics Anonymous participation during the same time. The research recommends that if an individual is participating in specialty substance abuse treatment, this is an opportune time to initiate 12-Step involvement because it is less likely to occur on its own. The practices of 12-Steps are intended to gather knowledge of self, become open to accept help and consciously work to change thoughts and behaviors. The general guidelines for recovery based on this philosophy have been distilled down to what has been described as the 12-Step “six pack”: don’t drink or use drugs, go to meetings, ask for help, get a sponsor, join a group, and get active. Post-addiction treatment, increased involvement in 12-Step meetings and activities as a form of continuing care has been shown to lead to decreased use of mental health and substance abuse treatment services and associated costs. There is a growing body of other scientific studies that suggest having a 12-Step sponsor - and a better relationship with a sponsor - is related to better alcohol and other drug outcomes. Medication Assisted Treatment includes Methadone, Buprenorphine or Vivitrol (Naltrexone) and helps many individuals remain drug-free during their initial recovery period from alcohol (Vivitrol) or opioids (Methadone, Buprenorphine & Vivitrol). People too often think of MAT as the opposite of abstinence (i.e., not using any substances at all). Actually it is believed they both aim to help people reduce the harms they experience because of their substance use. However, medical experts have been divided regarding the issue of abstinence vs MAT. We need MAT to stop the enormous loss of life from heroin laced with fentanyl that has created our current opioid crisis here in Florida and nationally. When people are stabilized, cravings reduced and healing takes place physically and in the brain, treatment providers then can begin the triage viability of long term planned abstinence. To the extent that controversy may exist regarding the relative roles of Twelve-Step and MAT in treatment, there is need for a middle ground to be occupied by clinical staff. As attitudinal barriers are surmounted, a blend can be undertaken where MATs have been shown to be effective, as with opioids and alcohol, and they can be used for those disorders. On the other hand, the Twelve-Step approach can be emphasized (with or without professionally conducted psychosocial modalities) for dependencies on drugs such as stimulants, psychotomimetics, and marijuana where medications have yet to be shown effective in achieving long-term recovery. The advent of new modalities to treat this brain disease of addiction paints a landscape of numerous existing evidence-based opportunities that assist in the reduction of stigma and increase options of long-term recovery. Dr. Candace Hodgkins, PhD., LMHC, is the President and CEO of Gateway Community Services. Dr. Hodgkins has more than 20 years of experience in the assessment and treatment of chemically dependent and dually diagnosed individuals, and often trains professionals in substance misuse, assessment, treatment and evidence based practices.